Greater Coucal is a beautiful terrestrial bird, and although it resembles pheasants, it belongs to Cuculidae family, but it is not a brood parasite. 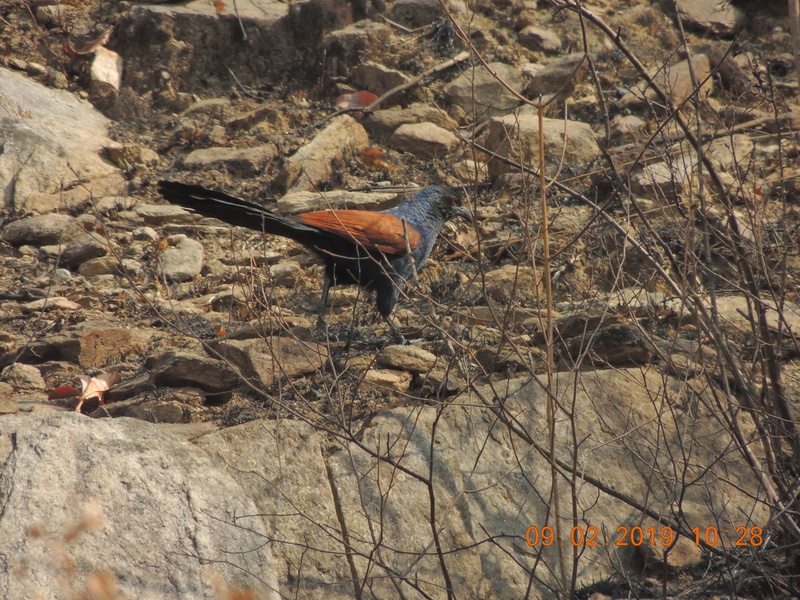 It is also known as Crow Pheasant or Coucal. Adult has glossy black-purple head and body. Wings are bright chestnut on upperwing, and black on underwing. Long graduated tail is glossy dark green. Contrast between chestnut and black is very conspicuous in adults. Strong, heavy bill is blackish. Eyes are deep red. Legs and feet are dark grey. Both sexes are similar. Greater Coucal lives in grassland and second growth, at forest edges, near cultivated areas and water. It is also found in mangroves, scrubs, marshes, reed beds and gardens. Greater Coucal feeds a wide variety of preys. It feeds while walking in tall grasses and thickets. It walks slowly like a pheasant, with held horizontal tail, or it skulks through dense undergrowth. This bird hunts on the ground, and may hop and run actively when pursuing prey. Sometimes, it picks up some vegetation and other food items. Greater Coucal feeds on large insects, caterpillars, small vertebrates (young mice), snails, lizards, birds’ eggs, fruits and seeds.